CHURCHIANITY, CHURCHIANICS, THE CHURCHED AND CHURCH – Part 1 | Thoughts of a Calabarboy. 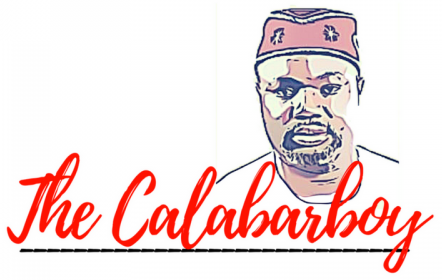 CHURCHIANITY, CHURCHIANICS, THE CHURCHED AND CHURCH – Part 1 – Thoughts of a Calabarboy. As far back as I can remember, I have been a church boy. I started out being committed to church life by singing in a children’s choir at age 11. Can you imagine that at that age, I sang the bass part at a Methodist Church in Calabar, Nigeria. This laid the foundation for what became my long romance with the church and the mechanisms behind its functioning. As young as I was, my innocence was characterized by the raw appreciation of the beauty of the church system, and the intricacies of its workings left deep very deep impressions on my tender heart that last to this day. I loved the spirit people put up; the singing, the preaching, the fellowship, and the strife as well. I eventually ‘progressed’ from an orthodox setting to a liberal Pentecostal assembly, where there was more intense recognition of the spiritual essence of man. I become more conscious of the scriptures and its meaning as explicated by pastors. The former assembly was one with more of designations, form, static routines, programs, and rules, while the latter assembly provided more room for personal expression and a liberal form of doctrinal interpretations. In all, I was well suited to function without complain because I was a church boy, and was fully immersed into the Christian ethics and rhetoric. From that period I have often swung between these two settings which could range from the very extreme to the very moderate and the very prudish to the most relaxed. I sometimes amaze me by how well I fit into these congregations and adopt their philosophies without complaint. It isn’t a lack of self awareness or the presence of ignorance I think, I just had the capacity to explain away things that weren’t palatable and take on the positives for the sake of peace. I was sure we all knew in part and that as life goes on, we would have a clearer picture of what this is all about. Church was my home, my backing, my comfort, and certainly my joy. The friendship I struck were priceless, the bonds formed irreplaceable, and the opportunities enjoyed are innumerable. My life has changed greatly for the better because of my contact with the church, and I do not regret ever being a ‘churched’ boy. However, I have come to a point where, like the fading mist of the early morning, things are beginning to really clear up and a more defined picture of what things are and ought to be is presenting itself all so rapidly. A lot more questions have arisen in my heart about the whole idea of church and its purpose. Sometime back, it would have been emotionally or spiritually dangerous to question the idea of the church, as it was infallible in concept and practice. Whatever dropped from the pulpit was the final say to how your life should be designed and what exactly to make of the complexities of life. And truthfully, I have walked in such a culture for a very long time. In fact, being ‘Born Again’ brought its own bouts of new allegiance and loyalties in my journey to understanding the will of God for my life. However, the closer I got to the one who is the centre of attraction, the more there was a dismantling of my belief system that had been built by the church. I admit that some of it was built by my own interpretation of what the church did and said, but what else could I do when others were doing the same? I simply went with the flow, and it was good for me at the time and I enjoyed every bit of it. Today, I am presented with a different challenge of understanding the purpose behind everything. Because anything without a defined purpose is subject to abuse, I have been engaged in thorough appraisal of what I believe and why I believe what I believe. I believe that things personally discovered are things eternally uncovered. So I have been asking myself what I believe and what informs what I believe. Why have I held on to these things and what is it I am willing to let go of if it has no root in the truth. Part of this focuses on what the church really stands for and what was God’s intent for the church. I have found myself often trying to defend the church and its activities without recourse to a better understanding of its history and its ordained purpose. Now that things are different with me and how I think, I am writing to question and expand on the prevailing ideas of church and its role in society. So what is stated by headings below is what I have come to see and understand the church to be. I will then state what I now understand it should be and how God has designed it to function.